Planning your family photos is hard... I get it. First you spend time finding the right photographer that fits your families style, you have to coordinate a day and time that works for everyone, pick the perfect location and then you have decide on what everyone is going to wear! It's a lot to think about. 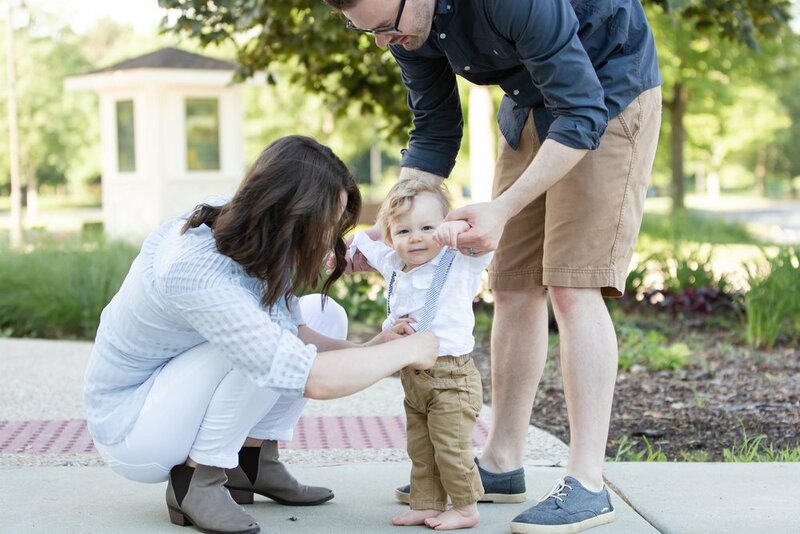 But possibly one of the most important parts to planning your families photo session is often overlooked... prepping the kids. You can't underestimate the importance of mentally getting your kids ready for your session. 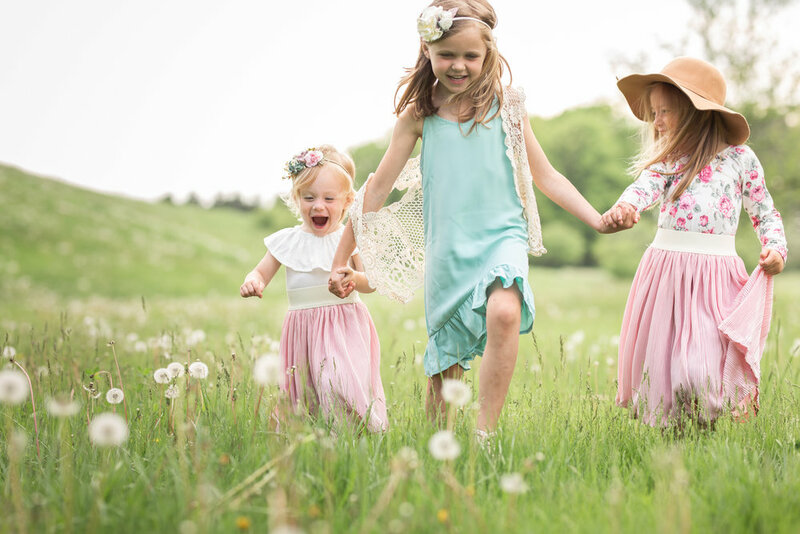 I often have kids asking me to come home with them after our family sessions because we've had so much fun... and we're able to have fun because the kids knew what to expect going into the session. 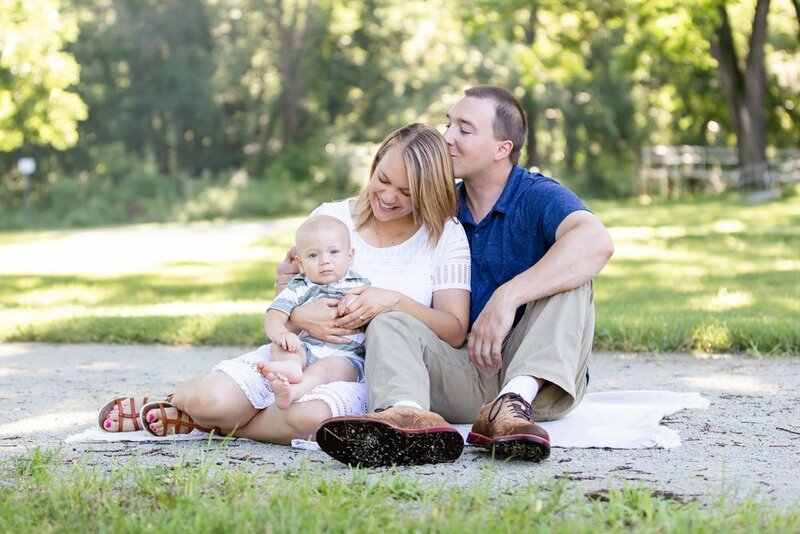 Hopefully these tips will help you and your kids get ready for a fun, relaxing photo session experience. 1. Tell your kids what will happen. The days leading up to the session tell them that a friend is going to be taking your family photos. Tell them how important the photos are to you. If kids know how happy you will be if they cooperate, there is a good chance they will behave better. Tell them that we will pose for some photos and also play and have fun. You can tell them that it will be pretty quick. My shoots are usually 45 minutes to an hour and I get plenty of photos in that time. 2. Don't stress. Kids will be kids. Life is messy and beautiful at the same time and my goal is to capture everything for you. Let go of perfection... if you are relaxed and ready to have fun, your kids will relax right with you. They can sense when something is wrong and they feed off of your energy. So don't expect too much out of your kids and just let them be them. I want to show your children just as they are and whatever that is is perfect. You will likely be sensitive to all of their little misbehaviors, but trust me, it doesn't phase me one bit. I have three small kids all with very different personalities and my favorite photos of them are when they aren't even looking at the camera. I want to capture their personalities and that happens when they are just being themselves. They’re little, and I know that some days don’t always go as planned. I’ve seen it all and will make sure to get you great photos, regardless of their moods. My goal is to make this as fun and stress-free as it possibly can be for you and your family! 3. Don't expect your kids to smile and look at the camera. This isn't natural for most kids. I will never force them to smile. My goal is to capture genuine emotions and show you what your family is like in this time of your lives. You want to look back on the photos from a session and feel your families emotions and dynamic. If you are engaged as a family and loving on each other, your eyes will be on your family members and your smile with be natural. These are the photographs that you will cherish most because they depict your family connection and your love. Resist the urge to say things like “Don’t smile like that, give me a real smile”. The best way to get a ‘real smile’ is to actually make your child laugh or smile. So instead of telling them how they should look I focus on being silly and eliciting genuine emotions from them. If a child is really nervous around the camera, I will capture them exploring, being themselves and sneak in some portraits along the way. 4. Make sure that they are fed and rested. If your session starts at 7PM but your toddler usually goes to bed at 7, try putting them down for a later nap so they are more ready to go. If they don't nap, keep your day low key and make the photo session the big event for the day. That way they will be well rested and ready to go. Don't pack your day full of events and then expect them to be happy and cheerful for your evening session. Give them dinner or a big snack before so they aren't hungry, because really, who's happy when they are hungry? Not me! 5. Show them a picture of me so that I don't feel like a stranger when they meet me at your session. Tell them I'm your friend. You can go to my instagram feed and show them pictures of my kids so that they know I'm just a mom and I'll be more relatable to them. 6. Give yourself and your family plenty of time to get ready. Moms are often rushing around before a photo shoot, making sure that their family is dressed and ready. Leave plenty of time for showers, baths, dressing, and grooming. When a family shows up rushed and disorganized, it sets the tone for a rushed and disorganized session. Give yourself extra time so that you are ready before it’s time to head out that door. 7. Offer a little reward for being good at the session. A lot of families discuss and pick something fun in advance as a treat after the session if they’re good listeners, like an ice cream cone or bowling date, for example. My sessions are laid back and stress-free. If your kids know what to expect, they are so much more likely to cooperate. At the end of the day, the location you choose and the outfits you select won’t matter nearly as much as the memories you make together. I want you to look back at your session fondly. I want you to laugh a lot and feel something when you get your gallery. So just relax, have fun and I'll take care of the rest!